Homefield Rock Hostel pets welcome Hotel in Donegal. Hotel in Bundoran, County Donegal. Pets welcome. Budget accommodation. Hotel near a beach on the coast of County Donegal, Ireland. Welcome to the Homefield Rock Hostel pets welcome Hotel in Donegal. 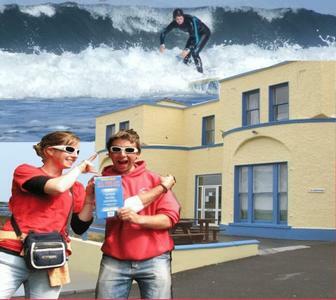 Rock Hostel is a music-themed hostel a short walk from the beach, town and Bundoran's nightlife. On-site are climbing and skateboarding facilities, surf lessons and surf hire. For more information or to check the availability of this Hotel in County Donegal please click on the availability link above and below. The Homefield Rock Hostel is in Bundoran Donegal, Ireland. The address is Bayview Avenue, Bundoran County Donegal.